Some people ask two important questions about the CIAM and CIPA training and certification programs offered by Identity Management Institute (IMI). For those who are not yet familiar with the CIPA and CIAM terms, they stand for Certified Identity Protection Advisor (CIPA) and Certified Identity and Access Manager (CIAM). These designations are offered by Identity Management Institute (IMI) which has been established to redefine identity management and support the interested professionals with identity risk management training, certification, and compliance. The two questions that have been asked are 1) what are the differences between CIAM & CIPA? And 2) how are they different from other certifications? First, IMI established these two certification programs with very specific goals in mind which have very distinct characteristics. The CIAM designation is for experienced professionals who work within a corporate function which includes dealing with individual identities. Such professionals may be employees or consultants who must manage identity risks in their daily functions such as Human Resources, Access Administration, Information Security and Privacy to name a few. Identity management is a distributed function within organizations and as such, the identity management responsibilities and practices are distributed among many groups. Please visit the CIAM page for additional information. On the other hand, the CIPA designation is uniquely designed for consumer facing identity protection professionals who advise consumers with identity theft solutions. Such professionals may be independent identity protection advisors serving individual clients or, may be working for companies in a capacity designed to interface with customers and help them with their identity theft related questions and challenges. Such employees may be members of the customer service, call center, fraud monitoring, investigations, and resolution groups. Please visit the CIPA page for additional information. The CIAM & CIPA programs were developed based on the specific Critical Risk Domains (CRD) defined by IMI. As such, the CIAM and CIPA designations are very unique and not only are they very distinct from each other but also very different from other certifications in the market. 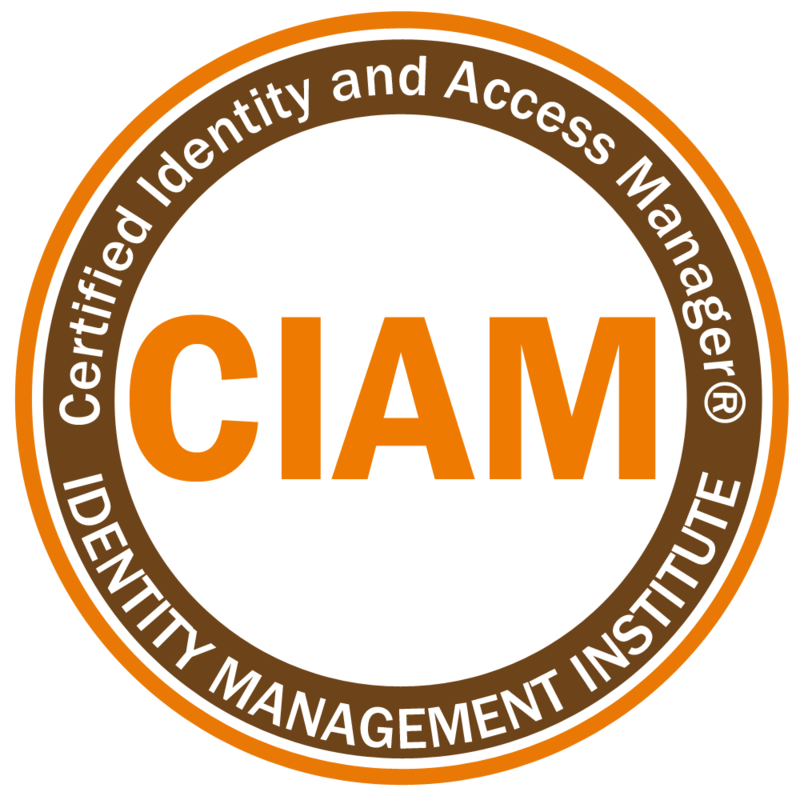 The CIAM designation is a unique program which addresses all identity risks and recognizes the critical identity management responsibilities within the various business functions and helps professionals recognize not only the identity risk management responsibilities within their own functions, but also how the collective efforts of other groups help the organization manage the identities of their clients, employees and third parties. The CIPA designation deals less with internal business risks but rather focuses on the risks residing outside of the business environment facing customers. CIPAs interact with customers to solve identity theft challenges. For additional information about CIAM and CIPA programs, please visit Identity Management Institute.